Certain vehicle lineups do things better, so when you choose from the selection of Dodge Ram trucks for sale at Bonnyville Dodge you can be sure that you’re going to have great driving from here on out. We have a fantastic selection of the world-class Ram brand, with models that range from the award-winning Ram 1500 through to the heavy-hitting Ram 3500. Whatever your life calls for – there’s going to be a truck that can match it waiting for you at our store. Join us today and allow our professionals to help you get back on to great driving that is defined by you – not for you. Our team of truck experts is pleased to be able to offer premier service with an emphasis on providing you with the facilities to stay on the road for years, kilometres, and adventure ahead. Discover the vehicle that has what you’re searching for, today, at Bonnyville Dodge! With the Ram 1500 you’ll be treated to the very best of the light-duty segment, with options for the class-exclusive 3.0L EcoDiesel I-6 engine that pushes you forward with the might of 420 lb-ft of torque. Not your thing? No problem! Them 1500 can be chosen with the award-winning 3.6L Pentastar VVT V6 engine or the exceptional 5.7L HEMI VVT V8. No matter what you choose – you’re going to have the commitment and the quality that makes Ram the best choice for work and play. Choose form and functionality with the heavy-duty Ram 2500 or the Ram 3500 – each is available with the 5.7L HEMI VVT V8, the 6.4L HEMI VVT V8, or the stellar 6.7L Cummins Turbo Diesel engine. But, again, no matter what your needs or what your preferences are – there’s a Ram that’s ready to make your life better. 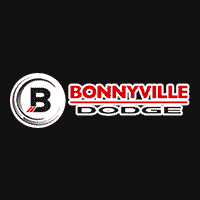 Allow the team at Bonnyville Dodge to help you find the match you’ve been searching for – with the ease and the enjoyable atmosphere that continues to make us the preferred store for customer satisfaction and success. We look forward to exceeding your expectations!